Astronomer have discovered hundreds of galaxies hidden from our view behind the Milky Way in extraordinary detail for the first time. The discovery, published in the Astronomical Journal, has delivered astronomers with new data about a mysterious gravitational variance in in outer space called the Great Attractor. Lead author of the study, Professor Lister Staveley-Smith, of the International Centre for Radio Astronomy Research, said "The Great Attractor contains a large number of galaxy clusters and superclusters and our whole Milky Way is moving towards them at more than 2 million kilometres per hour,"
Astronomers, from a long time now, have been trying to chart the galaxies hidden in the so-called Region of Avoidance - a portion of the sky hidden by the Milky Way - since major deviations in the rate of growth of the universe in this zone were spotted during the 1970s and 1980s. ProfessorStaveley-Smith said "We didn't actually understand what's causing this gravitational acceleration on the Milky Way or where it's coming from. 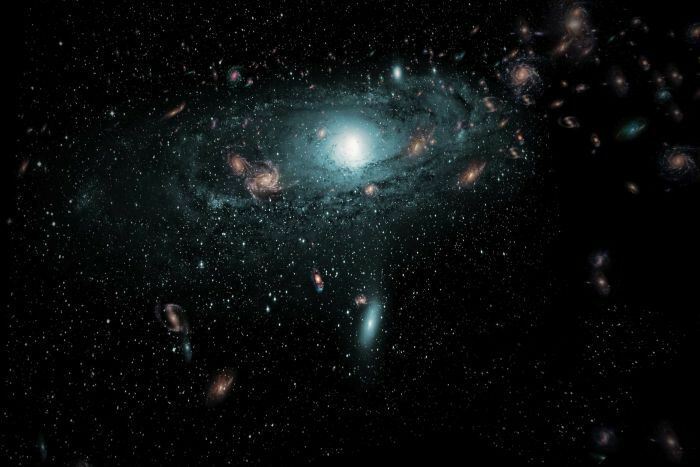 We knew there were a few very large collections of galaxies we call clusters or superclusters in this region." The international team of astronomers used the CSIRO Parkes Radio Telescope to see through the Milky Way's dense layers of gas, dust and bright starlight into a previously unknown area of space to see what lies behind our galaxy's far side. Astronomers identified 883 galaxies and a third of which had never been observed before, regardless of being just 250 million light-years away - very near in astronomical terms.